There was a time when day-old coffee was the gold standard in customer amenities at car dealerships. Now, cutting-edge dealers may ask you whether you want a latte or cappuccino. Showrooms deliver customer perks aimed at gaining market share, securing service business and reinforcing brands. Flat-screen TVs, comfortable lounges and accessories boutiques are basics in all of Morse’s dealerships, along with free Wi-Fi and children’s play areas equipped with videos and board games. 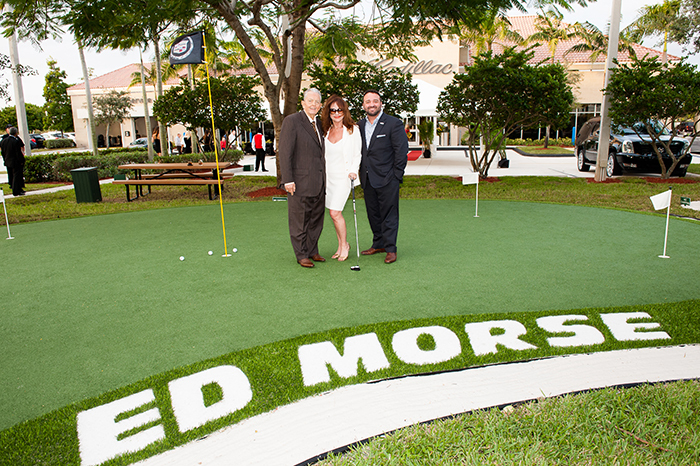 Adults can enjoy coffee and donuts and practice their golf swings on a putting green while waiting for their cars at Morse’s dealership in the Sawgrass area of Sunrise. If they’re customers of his Toyota dealership, they can be shuttled to a PGA driving range for unlimited playtime. Qvale Auto Group has made technology a cornerstone of its new 158,000-square-foot dealership on North Federal Highway in Fort Lauderdale, including placing radio frequency identification tags on cars. 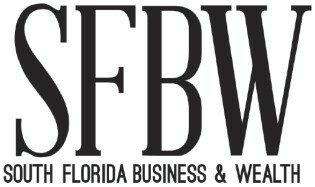 “When the car comes into the store, the RFID system recognizes the customer and notifies the service writer that the car is in the lane, tells the sales person that his or her customer is on the premises, and marries the customer to the loaner vehicle,” says Bret Macy, executive manager at Audi Fort Lauderdale. Other features were built into the dealership’s design. For example, sales staff can see customers arrive from a mezzanine level that overlooks the showroom in an effort to streamline service. The dealership’s design also includes LED lighting, Wi-Fi and four lounges, two of which are equipped with 65-inch high-definition TV sets. Customers taking the glass elevator to the second floor will find a 100-foot semicircular countertop with bar stools and power and data connections for phones and laptops. A curved partial wall that runs near the ceiling resembles a banked racetrack and pays homage to Audi’s racing heritage. Instead of having the finance office buried deep inside, the Audi dealership has it positioned so that customers can see staff members fill out their paperwork and see their car delivered in an area with lighting designed to show off their new purchase. That sort of rating is even more impressive when you consider that Fort Lauderdale-based AutoNation (NYSE: AN) is the nation’s largest automotive retailer with 290 new vehicle franchises. Amenities at the company’s 37 South Florida dealerships, which represent all major auto brands except for BMW, are all about speed and ease. The area where customers drop off their cars is covered and lounges have big, comfortable chairs, flat-screen TVs and refreshment options that include coffee bars. Loaner cars are also offered. Because more than 20 percent of AutoNation’s customers use digital means in their purchasing process (a growing trend), the company has invested in expanding its digital footprint. AutoNation Express is a digital platform that customers can use to reserve the car they want to buy and have it waiting for pickup in front of the dealership of their choice with their name on it. Customers can also sell their existing car to AutoNation through the same platform. Soon, they will also be able to complete their credit application and choose a payment plan there as well. Rick Case Automotive Group’s dealership in Davie has come up with a way to cater to customers who don’t want to brave South Florida’s heat and afternoon downpours to browse inventory. The dealership on Weston Road has its entire inventory indoors, with brands and models arranged by floor. Brands include Acura, Alfa Romeo, Audi, Fiat, Honda, Hyundai, Kia, Mazda and Volkswagen – and by the end of this year, Maserati. Customers can use their Rick Case Rewards Club card for discounted gas at the dealership’s pumps, discounts on cars, car services and accessories, as well as toward food and drink purchases at its cafes and free automatic car washes. Case says he also doubles all manufacturers” warranties. Offering customers a world-class experience has been the standard for JM Lexus since the brand launched in 1989, says Jim Dunn, vice president and general manager of JM Lexus. The Margate dealership, with its pre-owned Lexus counterpart in Coconut Creek, is the largest by sales volume in the world – a distinction it has held since 1982. Dunn says the dealership’s staff members continually challenge themselves to come up with creative ways to reward customers. New perks include massage chairs and a bistro that offers a silent room and free pastries, sandwiches, gourmet coffee and bagels. The dealership also hosts community events in its second-floor lounge. One recently had over 500 attendees from various Broward chambers of commerce and another was a meet-and-greet with golf great Fuzzy Zoeller. This complemented the challenging nine-hole putting green that JM Lexus maintains on premises for customers. JM Lexus is also implementing a system where customers can pay for service online and a tracking system so that service professionals can greet customers by name. “It’s important that we respect customers” time and give them service and vehicles in whatever way they would most like it,” Dunn says. There’s a complete culture change going on at Wayne Akers Ford in Lake Worth, says Al Young, dealer and operating partner, who also is a member of Ford’s national marketing board. Millennials don’t like salesmen, so there won’t be any in his new showroom, he notes. There also won’t be any cars. Customers will find an amenities-based buying experience designed to appeal to a technology-driven generation that likes Apple’s innovative branding style Young adds. The showroom will be bright and airy with porcelain floors and frosted glass. There will be a VIP room for refreshments, as well as a parts boutique and a digital cafe with running film content and water features. Track art is planned throughout, in addition to an art gallery featuring “Fordista Collection” works. Huge digital walls will allow customers to see their options in color and display customers” names when their cars are ready for pickup and to send a welcome greeting when they sign in to the concierge platform. Culture change also appears to be the goal for Lincoln with the 2015 launch of its high-end Lincoln Black Label brand and the changes dealerships must make in order to sell it. Al Packer Lincoln has redone its 11,000-square-foot showroom and specially trained its salespeople to sell Lincoln Black Label, says Gary Weil, general manager of Al Packer Dealerships. Customers can watch a video about the brand in the plush Black Label Studio as they browse samples of the leather, wood and paint options they have for their purchase. Customers of the luxury line receive free annual detailing and periodic personalized gifts, including complimentary gourmet dining opportunities. Black Label vehicles being serviced are retrieved from owners” homes and delivered back washed and vacuumed free of charge. Lincoln Black Label also offers the ultimate purchasing process perk: a showroom that comes to you. This is likely the luxury showroom experience of the future, says Downs. “This is Lincoln Concierge Service,” he says. “It’s shopping on your own terms at your home or office.” ?